Welcome to yet another guest blog for MOOC participants. We are approaching part two of our MOOC where we help participants to actually create their own courses online. Sucheta Phadke has already done a lot of ground work in this respect. In fact she has a very interesting work history with regard to online teaching. She specialises in instructional design amongst other things and yet she wants to take it to the next level with BTB Online. You can explore her rich work history in the bio below her article. She’s here to share her dream with us. To quote Jason R. Levine who says ‘Reach while you teach on the world stage’, Sucheta’s theme is all about influence and making a difference. I am enjoying the BTB course and it is great to share and learn online from experts and peers. I’m starting a private course using WizIQ on creating Bridge OERs using problem based learning with the subject matter experts – the internal team of the organization whom I consult with. It is exciting and going to be fun. On the personal front – I have a dream – to reach out to millions of teachers, course developers, designers, anybody who would like to touch someone’s life with meaningful and relevant learning-training content. I would like to share and learn all about creating engaging, innovative learning –training content. Thus the only way I see it now is to use online learning and its potential to enhance access and reach. I would like to build my online business in training individuals and organizations in the principles of learning design; content or course development; effective use of instructional strategies that will enhance the learning; design of the learning experience, and setting up processes that will ensure creation of quality learning materials. Throughout the years I have realized that these principles are not at all understood, there is lack of training and the training programs available are very expensive and not affordable. ‘Building My Teaching Business Online’ has come in at just the right time. I want to learn everything about how to build and establish this business, especially how to build a profitable online business, how to understand my target audience needs using online tools, how to get students to enroll, how to price my courses, how to extend my reach and market this business. My long term dream is to make this into a profitable social enterprise which trains and facilitates networking of teachers and individuals in regional languages, in everything related to using technology in education, with diverse groups, for K12, adult learning, teacher development and skill development. It’s very inspiring when people share their dreams. Sucheta has an ambitious plan here and we have covered so many topics to help her reach her goals. Indeed Sucheta obviousy has so much more that she can teach us in return when she sets up her own new courses. You can still join our teacher training course – BTB Online – Build your Teaching Business Online to start setting up a course of your own. What can we learn from this and how can we learn from the stories of our peers? 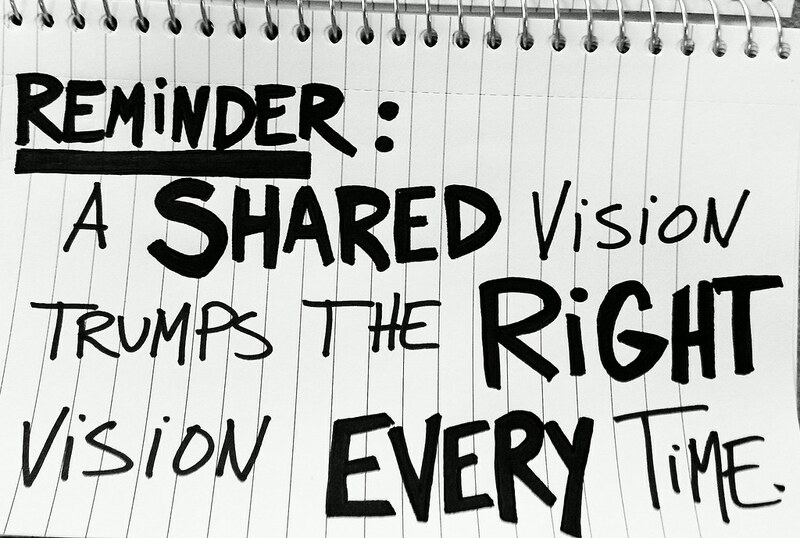 1) Don’t be afraid to share your dream because a vision shared is already half-realised. 2) Know why you want to set up your teaching business, plan how you’re going to do it and take action . 3) Keep in touch with your personal learning network who will support you along the way. Special thanks to Sucheta for her story. It’s a story that maps out the kinds of dreams and practical action steps we can all relate to. My background is in using Technology in Education. I started with television and then moved to multi-media, e-learning, blended learning, web based training. I have worked with corporates in India; used to lead content development and learning solutions teams for more than a decade or so. My forte is Instructional Design. I left my corporate job last year in August and now consult with young and mature organizations for technology based learning –training projects. I have designed solutions for K12, teacher development, adult learning, rural development and corporate training. Last year I started consulting with an organization where we are creating Open Education Resources (OERs) for K12 – grade IX at the moment. This is a pilot project. In addition to the creation of OERs a major thrust is on training the rural school teachers in the use of ICT in Education, generic pedagogic principles and building their subject competencies. We have used WiziQ on an experimental basis with the rural school teachers. Starting January, we would like to use WizIQ to start courses for the teachers.